Kaela Stephano qualified for the 2017 Crossfit Regionals as a teenager, Individual woman and as a team member. 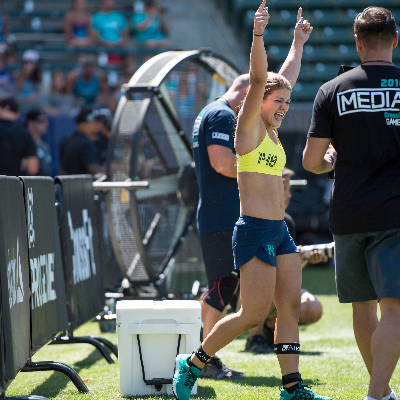 She has chosen to compete at the 2017 Crossfit Games as a teenager in the 16/17 Division. Kaela began her Crossfit career with a first place finish in the 14/15 Division at the 2016 games. She finished in the top 3 of every workout. She was a dancer for 13 years until she discovered the sport of Crossfit through her sister and mother. Kaela is also an accomplished weightlifter. Just before the 2016 games she became the National Youth Weightlifting Champion. In October, she earned 2nd place in the Rogue Liftoff. Since then she has traveled to many competitions and countries as a member of Team USA, most recently at Youth Worlds where she placed 9th in the world as a 53kg. lifter.